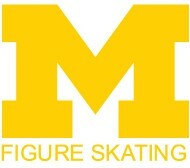 The University of Michigan Figure Skating Club (UMFSC) is a university club and a collegiate club of U.S. Figure Skating (USFS), that offers competitive and recreational opportunities for University of Michigan students. UMFSC consists of a collegiate level synchronized skating team, an open collegiate synchronized skating team, and an intercollegiate competition team. Members of the intercollegiate competition team have the opportunity to compete in freestyle, solo dance, and team events at the intercollegiate level. Please explore our site to find about more about who we are and what we do. The intercollegiate team is a great opportunity for both beginning and experienced skaters to practice and compete in a relaxed environment. The intercollegiate team competes against other Midwestern schools at competitions and Intercollegiate Nationals if we qualify. We also host two ice shows per year, which are a great chance for skaters to create fun programs and show off their talents to family and friends. UMFSC has two general sessions per week at our campus rink, Yost Ice Arena. These sessions are not only a time to practice individual skills and programs, but a place for skaters to get to know one another better. 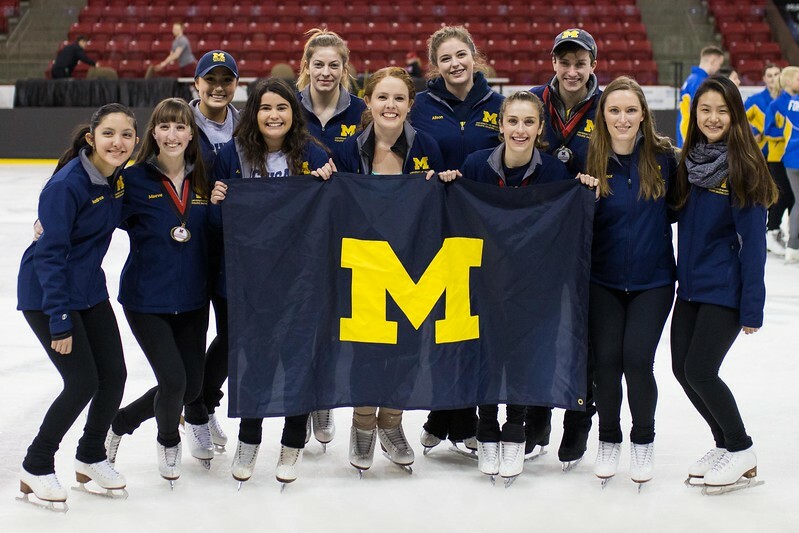 Intercollegiate team members can choose to skate all freestyle sessions or sign-on individually, and can choose to skate recreationally or represent UMFSC at intercollegiate competitions. UMFSC does not currently offer any freestyle coaching staff or test sessions, but many skaters take advantage of ice time, coaches, and test sessions at nearby rinks, including the Ann Arbor Ice Cube. NEWS: Our very own Allyson Williams was recently featured in a video project. Check it out here!